Feature: Top 6 Best Super Mario Galaxy Series Galaxies Part 2! We are continuing our picks of the best Super Mario Galaxy series galaxies in this second part of this WiiWareWave exclusive feature! Get ready for some more amazing galaxies right now! Freeze Flame Galaxy is a land of extremes with half of it being molten while the other half is frozen, there are some very tricky stars to obtain such as one that has you precariously walking on a frozen ceiling while trying to avoid falling or slipping into the lava, and that's just one section of the galaxy! This galaxy makes our list due to the rage quits it induces! 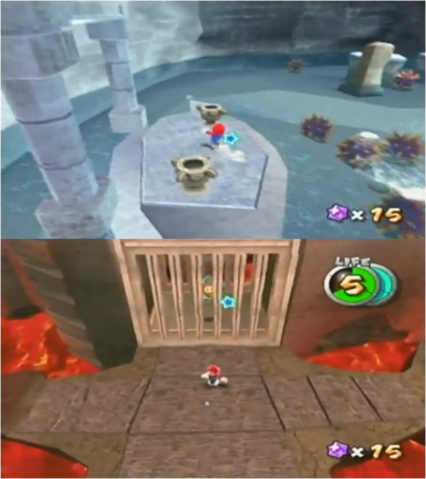 A few worlds in Mario games have made Mario pint-sized such as Giant Land in Super Mario Bros. 3 and a certain world in Super Mario 64, but this galaxy takes the concept to extremes by scaling some of the enemies such as Goomba's to the size of a rather large building which is very impressive, plus the level design is superb. This galaxy is #2 because of it's superb design and truly gigantic enemies! Not many games have a level that is essentially a giant fish bowl, but Super Mario Galaxy came up with such a galaxy and its scale and design are both exceptional! The galaxy has alot of water as one would imagine and is populated by competitive penguins who love to speed-swim! 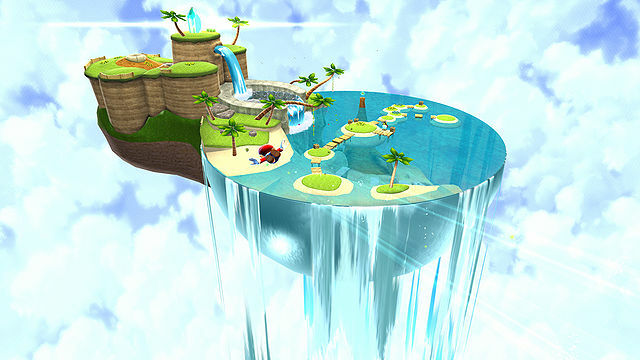 The design of the world is incredible as there are some tricky land platforming areas as well as a hidden underwater cavern just to name a few of the unique features in this tropical paradise of a galaxy! The ingenious design, amazing characters, and uniqueness of the being able to adventure in a fish bowl make Beach Bowl Galaxy our top pick! Let us know what you thought of this two part feature! Tomorrow we'll do a top 5 power-ups in Mario titles feature! 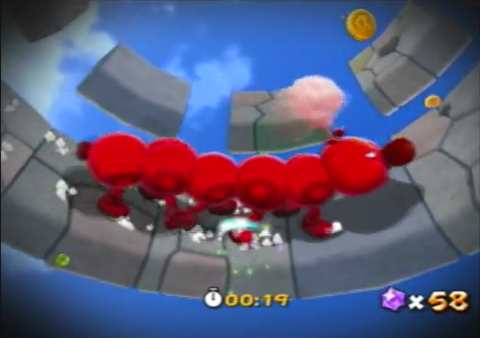 Re: Feature: Top 6 Best Super Mario Galaxy Series Galaxies Part 2! Cosmic Cove Galaxy is awesome!